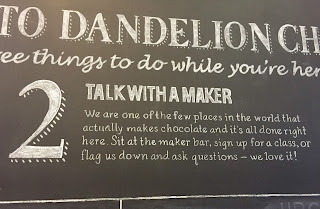 As I was in Mission area to go to Pica Pica Arepa Kitchen, I went to Dandelion Chocolate. It's a small-batch chocolate shop where they create chocolate from scratch, and though I've been there before about 2 years ago, I didn't write anything about it. In February 2016, a new branch was open in Kuramae, Tokyo. 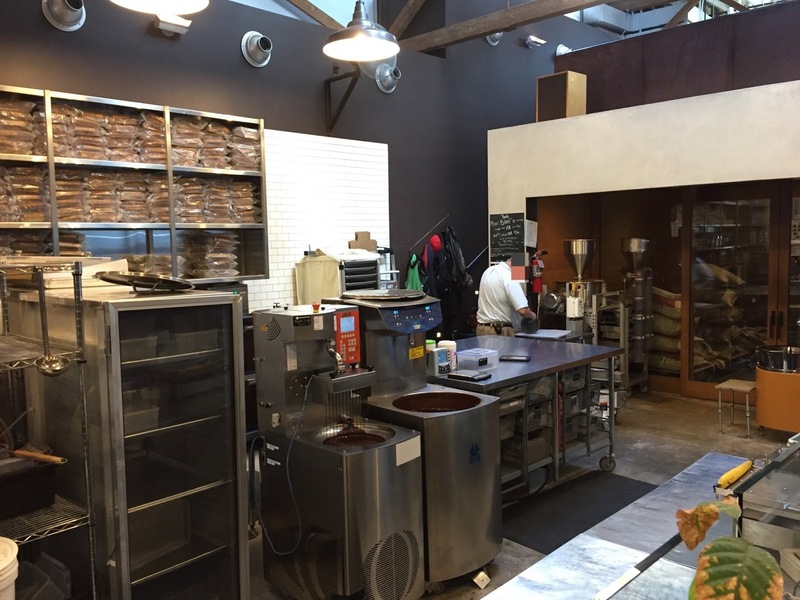 In the Factory + Cafe on Valencia street, there're many kinds of product. The factory was inside of the shop and I could see machines. There's also a skinny slip of menu. 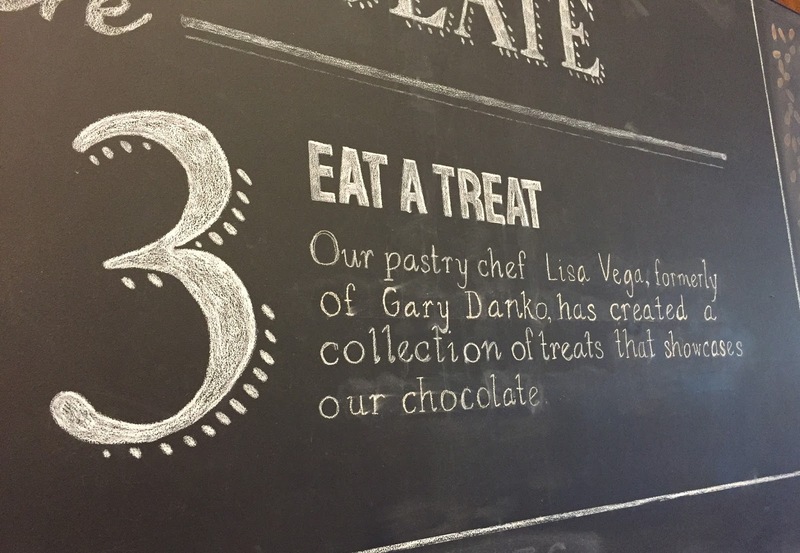 On the blackboard, there're 3 things that Dandelion Chocolate want customers to do. 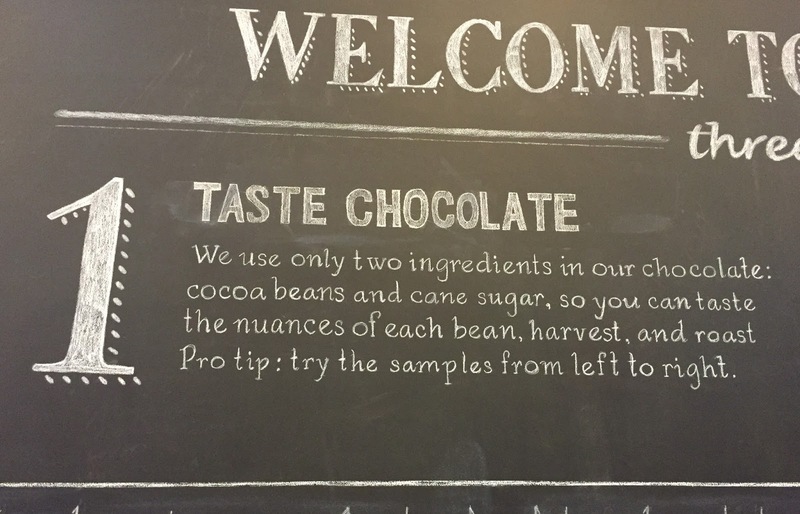 They use only 2 ingredients; cacao beans and cane sugar. 2. 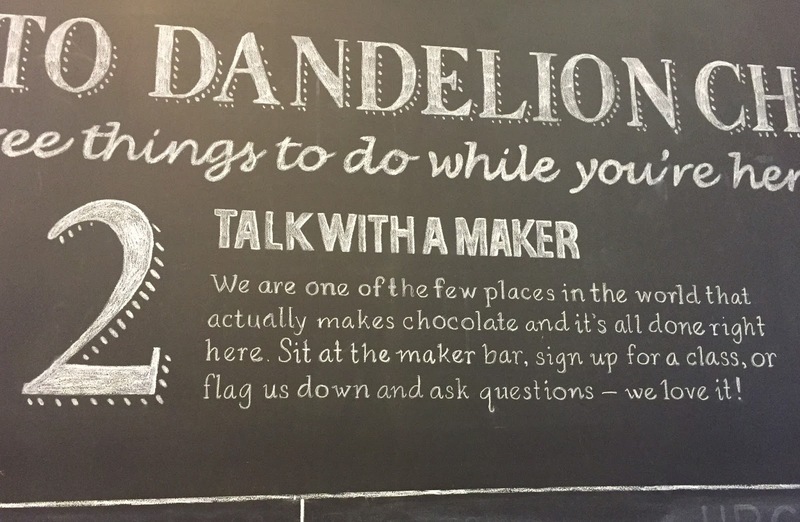 Talk with a maker. This paper shows the details of the process. 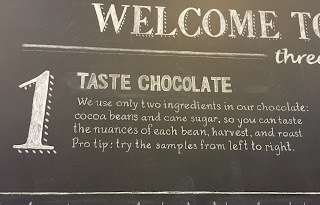 They say in (1) that the flavor of the chocolate depends on the beans, and I bet the flavors differ here as it's a small-batch factory. I got a S'more and House Hot chocolate. 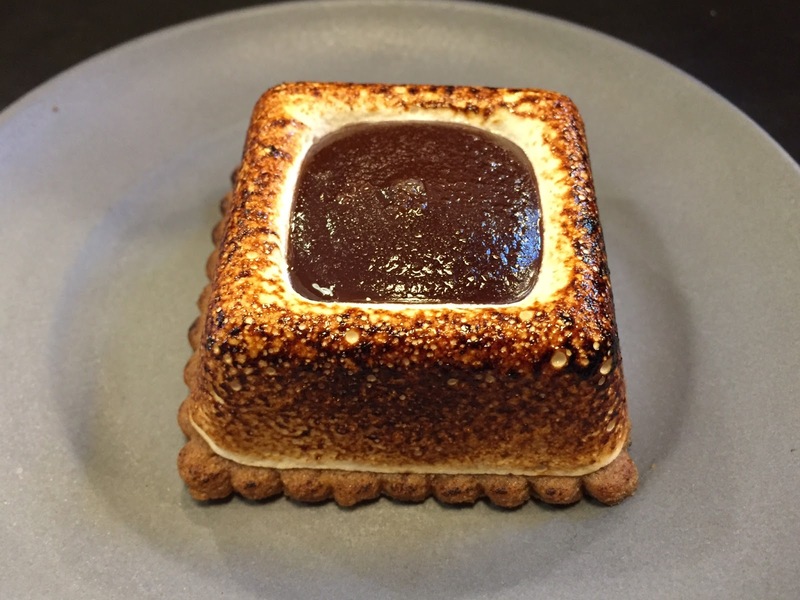 The s'more was toasted to order by a handy burner, and there's sweet and smoky marshmallow flavor. 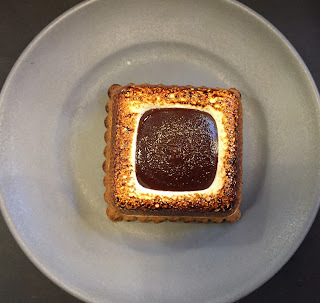 This s'more was perfectly shaped and each side was nicely grilled. The marshmallow was melty outside and inside was bouncy, the chocolate on the top was already soft, not hard. The graham cookie at the bottom was a little bit difficult to cut it with a fork and I had to push it hard. 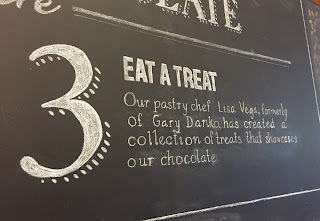 The chocolate was starchy and velvety, and it had sourness similar to cream cheese. 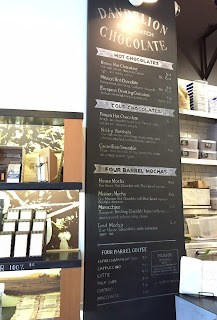 I didn't sense the characteristic fragrant scent in the graham cracker but butter as if it's a shortbread cookie. It's a little bit hard to eat but good-looking and more than just sweet s'more.